Google Docs (and Slides) just got an awesome, but subtle new trick. 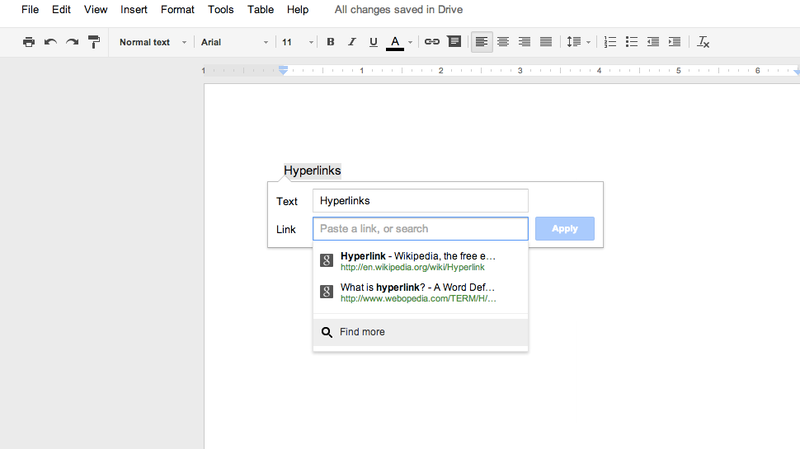 Now, every time you go to hyperlink a word, Google search results will automatically appear below your link box. Never open another tab to search for a Wikipedia page again. And to make matters even better, it's not just a web search: Google will also offer up results for other items in your Google Drive and headings inside the very document your working on.